The results are in! 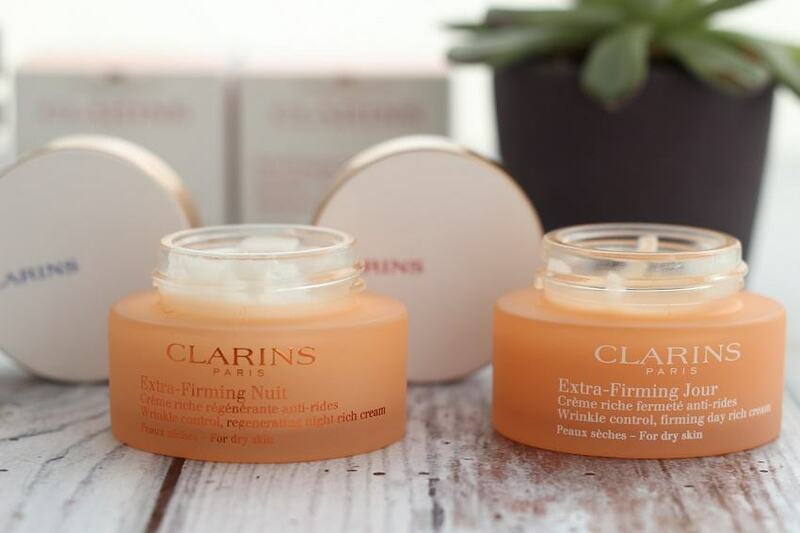 I have been testing two of Clarins newly revamped skin care products for you. (yep I’m a trooper I know!) I have always been fascinated with skincare products, probably more so than makeup. Makeup will cover imperfections and make bad skin look better from the outside. I however, prefer to do all I can to improve the quality of my skin and rectify any problems before I resort to the cover up stage. Are you still with me? 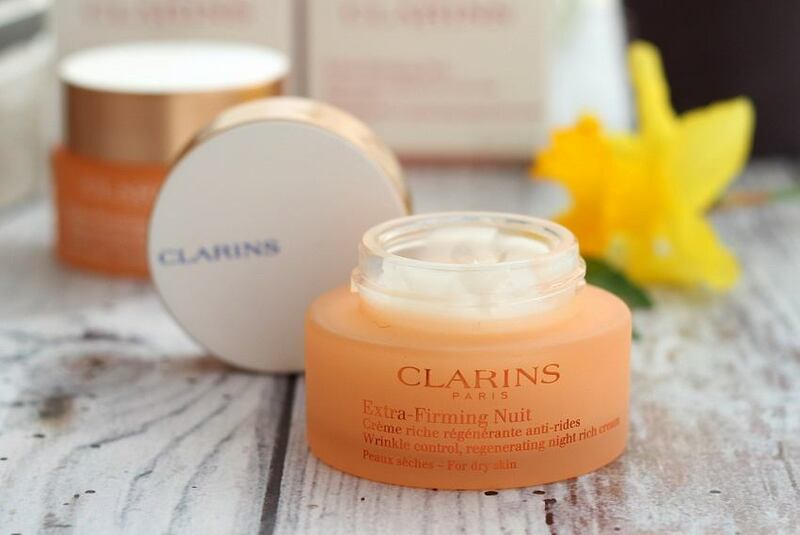 If so then you may be interested to read about the Clarins new skin care products I have been testing over the last few weeks. Clarins revamped skin care products: The Results Are In! May I firstly point out, skincare is very personal, depending on your age, your skin type and any specific skincare problems you may have. At almost 55 I am obsessed with anti aging products (of course I am!) I have the common problem of a combination skin ie: dry around the edges and neck area, with an oily ‘T’ zone. I also have what I call winter skin at the moment, the result of living through a very cold UK winter with the central heating on full blast. My skin was dull, dry and in desperate need of some emergency TLC! A word about HRT. My choice. Do remember this is just my opinion and my choice. I do try to eat a healthy diet and I drink lots of sauvignon blanc! HRT affects how skin care performs so I would like to say I do not take any form of HRT and I do not intend to. This is my personal health choice and I realise of course, that everyone is different. 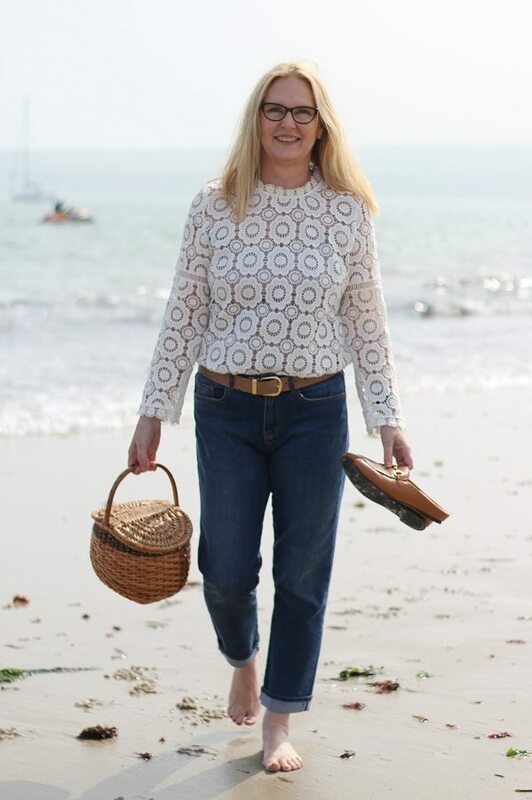 Perhaps I have been lucky, but I regard menopause not as a problem to be eradicated, but as the next part of my life to slowly comes to term with in the best way I can. If HRT is your choice that is up to you because you are the one that knows your body and your family history the best. After all nothing is easy in life; puberty, growing up, pregnancy or growing old! After all nothing is easy, puberty, growing up, pregnancy or growing old! !!! 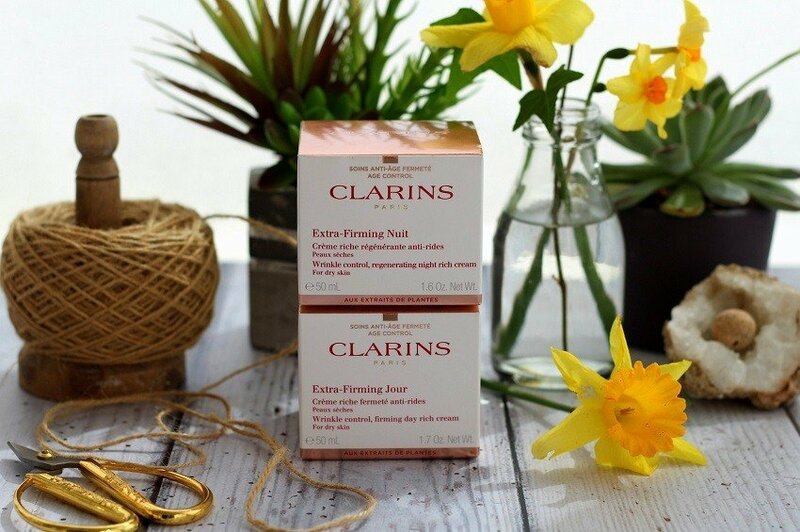 Clarins Extra Firming Day and Night Cream. I am a Clarins girl at heart and have been for 38 years! Since the age of 16, when I got my first saturday job! So his is not the first time I have used the extra firming day cream but it is the first time I have used this new and improved version! So what do I think? I can also honestly say that my skin does appear smoother and therefore more radiant and blooming, because the light is reflected from its smother surface. I also love that is has an SPF factor of 15 and the Clarins Anti-pollution complex. A few less thing to worry about? Did you know the golden hours for skin regeneration are between 11pm and 2am. At these times skin regeneration cycles are at their peak. So in addition to the Kangaroo Flower mentioned above, Clarins have added moonstone hydrated silica which encourages and optimises the night time regeneration process. The cream is rich but has a silky finish, so it doesn’t sit on my skin, or feel too heavy. I have had no problem with puffy eyes in the morning either, as with some night creams, although I am careful to keep it away from my eye area. I can also say my skin looks smoother, and hydrated in the morning. My only problem is getting to sleep by eleven so the night cream can perform to the best of its ability! I’m loving both these creams, I have definitely noticed a difference and this is improving week on week. I use Clarins eye makeup remover too, I find it lovely to use these 3 products together as part of my daily skin care routine. 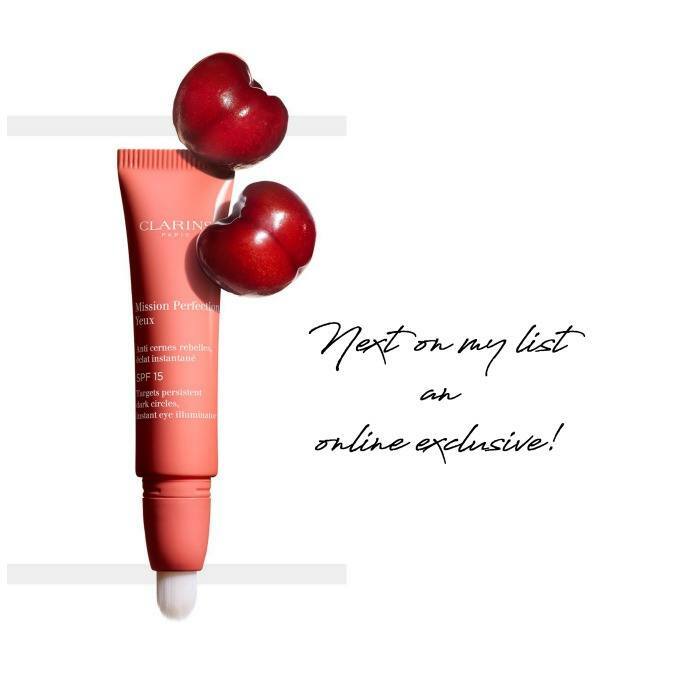 Did you know Clarins also has some online exclusives? Part of their range that can only be bought online? More beauty posts you may like to read? 10 lotions and potions I would buy again. Trinny london a makeup revolution so what is it all about? 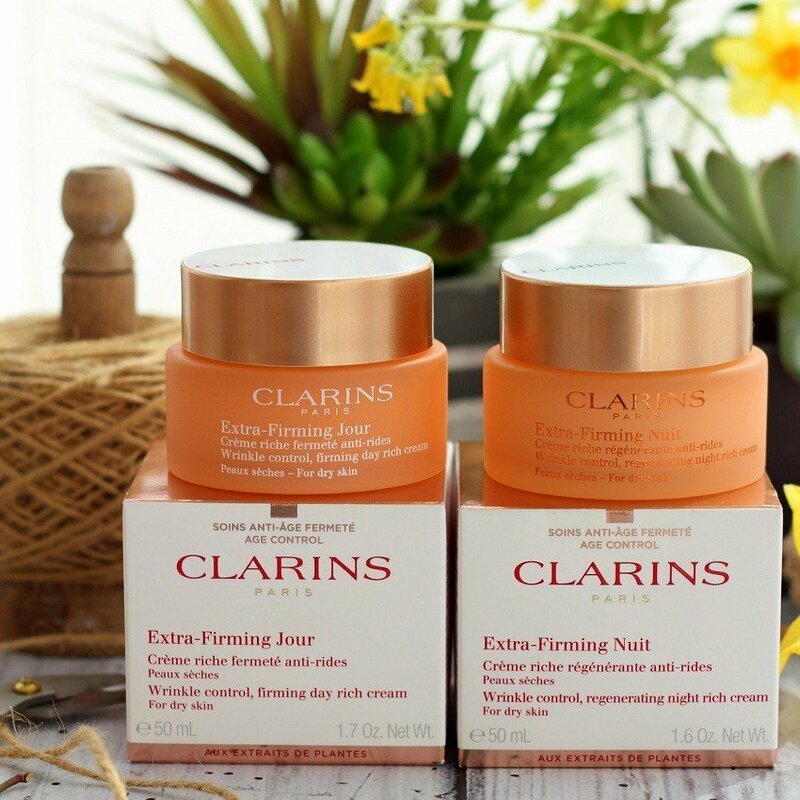 Are you a Clarins fan? I love the facial oils too ? I could go on and on about Clarins! Next Post 5 Outfits for Everyday Casual Wear Flat Lay style! I’m a huge Clarins fan! The fact that this has SPF is a bonus,I know some of the Clarins creams don’t contain it. I was a huge fan of HRT too.Made me feel like a new woman! I used to be allergic to creams with spf in them! I was interested to read that you have used Clarins for so long, Ashley. I last tried i think must’ve been in my 30’s. My skin never liked the brand. Clinique was another. Might be time to revisit as like you my skin has changed so much in my 50s. I keep meaning to write a post about my menopause journey. It’s been on my to do list for so long! Like I said its such a personal journey, family history comes into my choice. Im 55 in October! 63 was a good year eh? 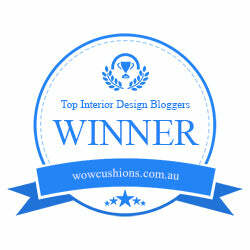 Thank you I am a little bit proud of that woman and home feature! Sounds good! Is Clarins a good brand for the very sensitive skin? Clarins will always choose a natural ingredient over a chemical one, if it delivers the same level of effectiveness. 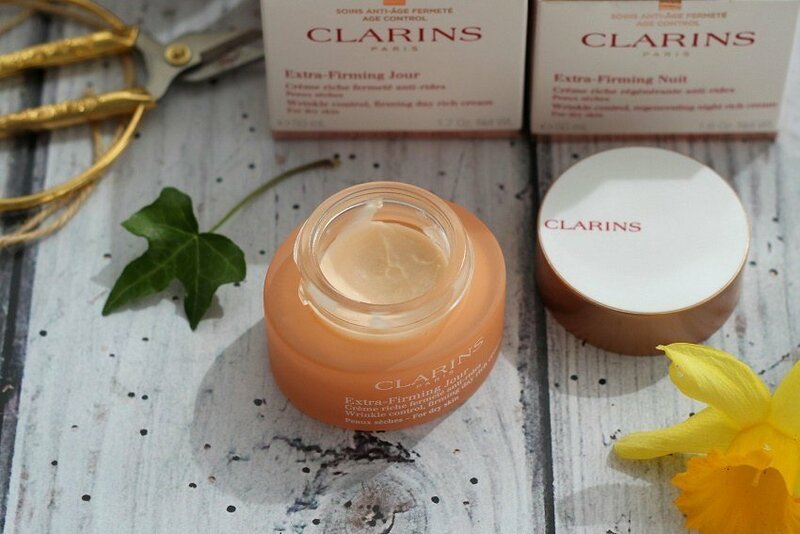 Clarins Laboratories are considered pioneers in the fields of plant science and technology. From 100% Pure Plant Oils, Double Serum, skincare innovations for face and body—to make-up, men’s care and treatment fragrances— I have a sensitised skin and their [products have never caused a problem for me! 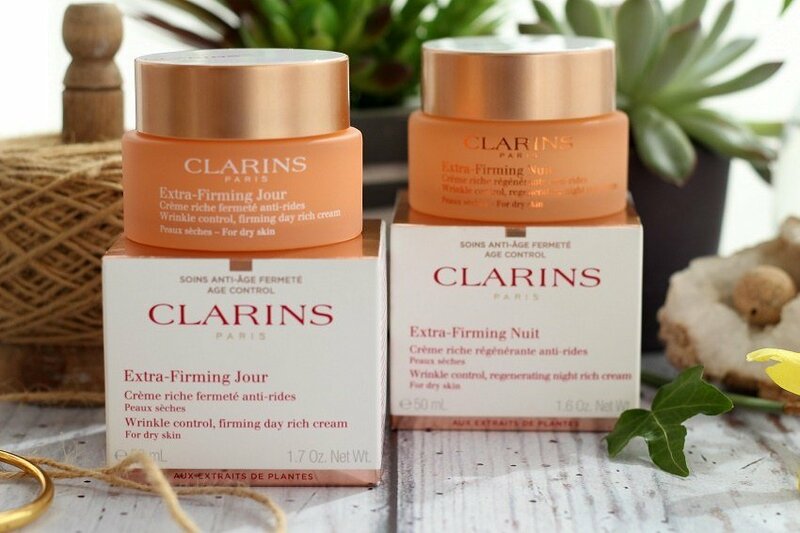 You must try Clarins products!